Just like Joan Jett, wallpaper has a bad reputation. For many, the word conjures up visions of garish florals covering every possible square inch of an otherwise adorable home. And removing it? Well, that's a whole other horror show. If you've ever had the unfortunate task of scraping off reams of tacky wallpaper from your parents' kitchen, you probably walked away with one main thought: Never again. But today's wallpaper ain't like your mama's wallpaper. 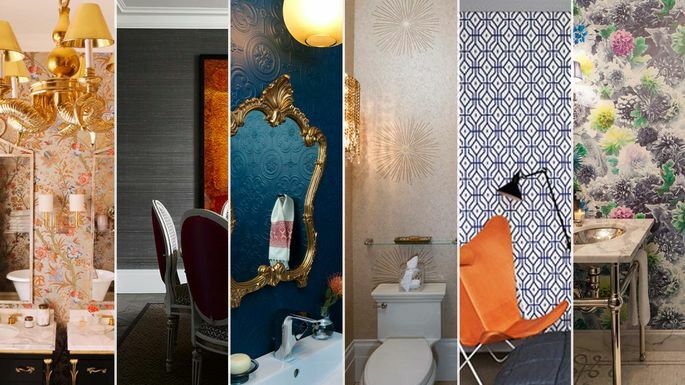 Wallpaper is making a big comeback, and it's better than ever. Seriously. "Wallpaper is back in the spotlight," says Cassie Crooke, the studio manager at Rumor Designs in Steamboat Springs, CO. "Wallpaper scarred homeowners in the past, with outdated patterns and adhesives making the entire experience cumbersome and dreaded." But modern wallpaper is easier to remove—and easier to apply. (Some simply peel off the wall, making those miserable hours seem like a cruel joke.) What's more? 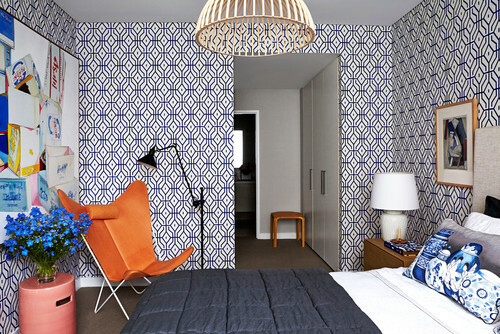 Modern wallpaper designs are bold, fun, funky, and graphic. Begone, itty-bitty flowers and pink borders. Adieu, fat stripes that made your childhood bedroom look like a circus. We've gilded our teacups and dotted our bookshelves with bronze objets d'art—why not add a little gleam to our walls? "We've seen a trend in metallics shining through simple patterns and textures," Crooke says. Whether they're integrated into complicated stripes or geometry or used to add depth and interest to an eclectic pattern, expect modern wallpapers to boast an Art Deco–inspired pop of glamour. Just be careful if you go the DIY route: Matching complicated patterns might require a pro, because the metallic shine emphasizes any irregularities. Perfect edges are hard enough without a material that makes it glaringly obvious where you've screwed up. 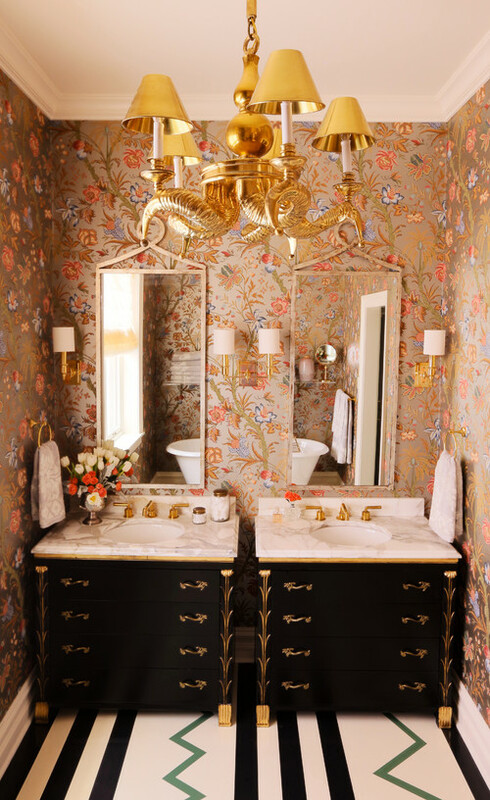 Silk wallpaper might seem like the kind of luxury you simply can't justify. But just consider how amazing it can look paired with dramatic art and streamlined furniture. And then treat yo' self. Created by applying silk threads to a paper backing, this elegant, neutral wallpaper "creates a light, elegant texture," says Warren Sheets, an interior designer in San Francisco. That makes the effect ideal for dining rooms and bedrooms—but maybe skip the kitchen. "This style is very delicate and not for high-use areas," Sheets says. 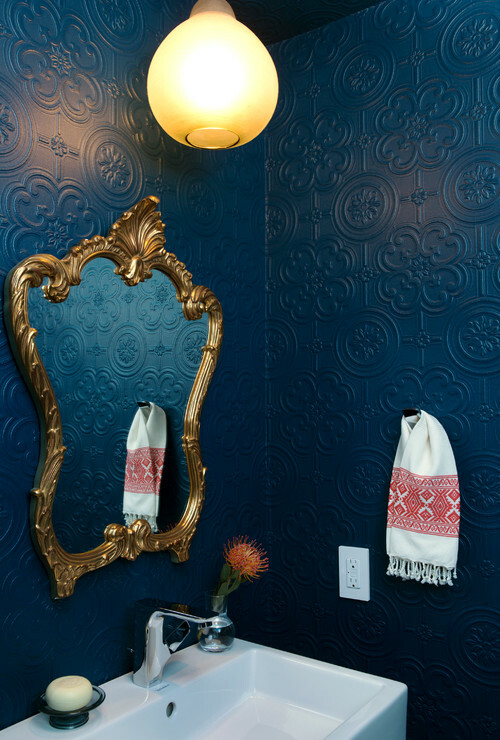 Embossed wallpaper is a new take on texture, allowing homeowners with tighter budgets to mimic classic plaster work designs such as the fleur-de-lis or acanthus leaves. If you can swing it (a roll can easily cost hundreds of dollars), you'll feel immersed in luxury. Manufacturers are increasingly adding ornamentation to their designs, Sheets says. 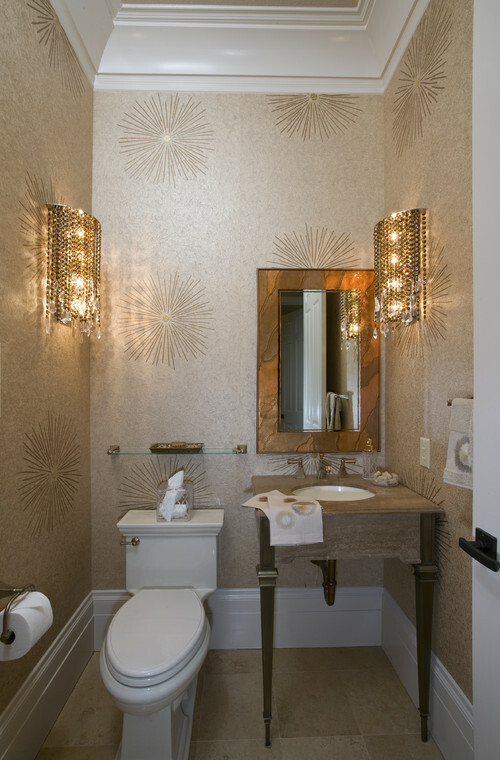 Today's wallpaper features beading, recycled tile, and glass to give your walls an upscale, mosaic-like effect. It's the perfect way to create a luxurious space that's (admittedly) just a bit over the top. But is drama in decor ever really a bad thing? Three-dimensional embellishments aren't the only luxury upgrade designers are adding to today's wallpaper. Hand-painted accents bring dimension and class to a small space. Just prep your wallet beforehand: Embellished wallpapers can be tremendously expensive, making them good choices for accent walls and small spaces. Cool, right? Geometric wallpaper is having a moment right now. And with such a wide variety of fun, timeless designs (cubes, herringbone patterns, or blocky and bold) available, we don't expect this trend to disappear any time soon. Brave homeowners can cover a whole room in these funky geometric patterns, but if you're worried the effect might be too busy, consider an accent wall. Choose a dark background with a light (or metallic!) design, and pair it with a simple wood console for a high-impact statement wall. 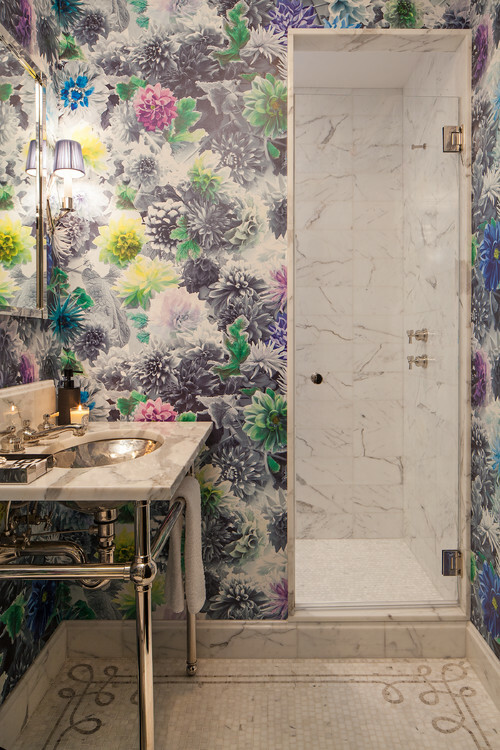 "The evolution of digital printing has enabled wallpaper designers to go in wild new directions," Sheets says. Instead of opting for a small-scale trellis pattern, you can turn your bathroom into a veritable garden. Plaster your wall with colorful insects or a sky full of shooting stars. Nature isn't your only large-scale wallpaper option. Consider watercolor, or simply get your favorite image printed.